There’s No Place Like Home… | Let The Adventure "Continue"! Home is where the heart is…Home sweet home. Well , gosh, I can’t help it, this is what’s been on my mind these days Ya see, lately it’s becoming more and more evident to me that expat communities are very transient communities. People seem to come and go quite frequently, at least here in our quaint little town of Boquete this seems to be the case. And this truth has never been more evident to me as it has been recently! The obvious reason for this realization is because there seems to be a huge amount of people who once loved living here as much as I do, and who are now moving away. Sigh… A mass exodus seems to be underway these days ( of course, I’m kinda over-exaggerating). Its both kinda sad and exciting at the same time. Sad to say goodbye to so many amazing people but its also exciting to watch them set off on new adventures. But…sigh…I will miss them. Where are they going? Well lots of different places! Some are returning to the states for various reasons. Health reasons, family reasons and newfound hobbies that seem easier to pursue there, just to name a few. Then there’s the group of people who are heading to Colombia for a new life in a big city seemingly drawn to something totally different from what they’ve had here in our little town. If living in a big city is appealing to you then little Boquete will not make you happy, not for long anyways. Big cities have so much more to offer than a small town. For those who are looking for lots of good restaurants, theater, tons of stores and easy access to services, well, a tiny little mountain town just isnt gonna fit the bill, thats for sure. There are also some who are relocating to Spain, Portugal , Mexico, and other parts of the world . And we find ourselves saying farewell to some really great friends lately. One thing that I’ve observed about expats in general is that they are people who have a tendency to find great joy and satisfaction from living in a new place and starting over with something fresh and new again. Its this general sense of “wunderlust” which makes this particular group of wild people tick! Many expats just don’t seem to sit still for long. And for so many of the friends we have made here in Boquete it’s also one of many things I admire about them. Always being open to new experiences and a never ending curiosity seems to be two common qualities of most all expatriates I’ve met. I think in order to be the type of adventurous person that would make a move to another country one must really enjoy and even crave a certain amount of change along with an open mind about challenges . I’ve observed several very different types of expats here in our little town. There are the people who come here with the plan to just try it out and see how it goes. This group enjoy the freedom of being able to pick up and move onto the next place whenever they feel like it. They never plan to stay put in any one place but rather enjoy exploring different exotic locations, living there until the call of some other place sets off the desire to move on down the road. And then there’s the group of folks who settle in and stay. Here in this small mountaintop town many expats have been happily settled for as long ago as 15 and 20 plus years ago! These long standing residence of our expat community came here, bought land, many built homes settled in and still call this place home. They’ve really put down roots and have settled into a life that suits them. And there are some who have found it works best for them to live part time here and then part time in their country of origin. Living half the year here and the other half the year they go back to spend time with their families. This seems to works nicely for some. Then one other group who had the best of intentions of settling into a longterm residence here but then after a period of time realized they had made a mistake and decided this area was not for them. Sometimes one just doesn’t know for sure until you settle in for awhile. After the glow of newness wears off sometimes a new place calls to you and ya just gotta go! I can’t help but imagine what those long time expats living amongst us must think as they watch us newbies move into town. Arriving with so much enthusiasm feeling like we’ve finally found our paradise. From some of these folks who settled here long ago, I’ve heard that the average amount of time which usually determines if you will stay here making Boquete your permanent home is about five years. Apparently if you live here for five years then chances are high that you are home. Im nearing my five year anniversary of living here this May and have yet to feel any pull to greener pastures. It’s plenty green up here in the highlands of Panama. I feel like Im here to stay. After living here for awhile the Panamanian “Mañana” attitude begins to drive some people crazy. Its not uncommon to hear the long list of things that come with living here that will not be missed as some move on to whatever new destination has called to them. The unpredictable power outages, water issues, the bumpy pothole ridden roads, the unreliable and slow internet, the general lack of much customer service most anywhere here, just to name a few little things. Oh, and the bugs, cuz’ shrug, remember…we are in the tropics, there are critters here. All of these things and many more seem to become unbearable to some. As many folks pack up and prepare for a new destination I think focusing on all the things they didn’t like about life in this small town in the Westernmost highlands of Panama makes their exit a tad easier. I get that. I suppose I did the exact same thing as I packed up my life in California to leave for greener pastures. I had a huge list of things I was so glad to be done with! The traffic, the pollution , the cost of living, the fast pace of life in the Silicon Valley. I remember my focus as I prepared to move away had to be on all those aspects of my life I would not miss, cuz’ well…truth be told, to focus on all the things I loved about living in the Bay Area would only have made leaving that much harder! Oh my goodness, now I feel kinda bad for maybe sounding like I thought the place my friends and family still considered a great home was a place I just could not wait to get away from…oops! Sorry about that! But, let us not forget the good things. The things that initially brought us to this place. Of course, I speak for myself here… Firstly, for us, the proximity to the U.S. was one thing that was appealing for us. The ease of getting to Panama from the states was attractive to us because we knew visiting our friends and family would be important to us. Other places we considered would have made visits to the states really hard. The cost of living here, while not the cheapest place to expatriate to, is way less expensive than living in Northern California. The slower pace of life is maybe one of my favorite aspects of Boquete, even though that comes with the ‘mañana’ attitude, I’ll take it! But on the top of my list of things that I love about living in this little mountain town is the breathtaking nature that surrounds us here! Seriously, it takes my breath away and feeds my soul every single day I wake up and look out my bedroom window at all the trees and the clear blue sky. Well, when its not rainy or gray! hah! We do get some dreary , gray days up here in the cloud forest, but thats what keeps it so darn green. For me, the things I love about living in Panama way outweigh the things that annoy me. As some friends have found that Boquete is no longer a fit for them my heart aches to realize what we once had in common has somehow faded for them. I’m not sure why it feels so personal when I hear that a friend wants to live someplace different and that this place we were once so excited about is no longer the place they feel drawn to as their forever home. Especially since I realize that , there’s never one single perfect place in this world that feels like home to everyone. We all have such different criteria for what makes us feel like putting down roots and calling a place your forever home. And, the truth is, there are some who just don’t ever really feel drawn to staying put forever in one spot. For so many people making a move is a huge part of growing and evolving into a stronger often healthier person. Oftentimes, for some, growth means uprooting your home and starting fresh someplace totally different. Fresh new opportunities await for many who feel that inner need to remain flexible enough to pick up and make a new home in a totally new place. As I’ve said, this mindset seems to be a common one among expats. They are incredibly brave and adventurous people. And so, living in a town with such a large population of expats we will probably always see a lot of coming and going. Expatriates are a unique group of folks who see the world as a place of endless possibilities . They don’t hesitate to dive into a strange new place and call it home. We’ve met so many different people who have endless ways in which they approach this lifestyle. Many are on an endless pursuit of experiences. Never really anticipating putting down deep roots and staying put forever in one spot. Many have loose, open-ended plans of living for a time in one place until the call to move on seeps into their soul and they’re off to their next exotic spot. Then there are those expats who are more like us, we feel more drawn to having a home base. For us its important to put down roots and to have a place that is home to us. We love to go away, to see the world, but we also love to come home to a place we feel a deep connection with. I love that we’ve been surrounded by such open minded, fun, adventurous , wild people in this town! We’ve met the most incredible people who live such crazy , awe inspiring lives! Seriously, every time someone moves away I count my blessings for having one more friend to visit in some place I may not have otherwise even thought to visit! I look forward to hearing all about the new places they land. As our friends begin to settle into their new homes they often share their various comparisons about what their life was like living in Panama and what life is like in their new homeland. Of course, as it should be, they find they like many things about the new place they’ve moved to much better than the life they left in Boquete. Things are always different no matter where you go, from the processes of getting a permanent residency visa to the many differences in health care, the cost of living, customer service, availability of goods and services, these things are more often than not much better for them in the new country they’ve chosen to relocate to. And doubtless they speak the truth! Because we all know there will always be some place better, cleaner , cheaper, more cultured and generally easier to live . Such is life… its a big world out there! Don’t we all have to find that perfect balance of what makes us feel happiest in the places we decide to call home? And, is there really a Paradise after all? Nahhh… If we’re truly honest with ourselves there’s never really going to be a place where everything is just perfect. I don’t know for sure, but I often wonder if many of us who identify as ‘expatriates’ are searching for something and if so, what exactly is it? As is always the case, whatever makes us tick it’s for sure different for each and every one of us! Maybe it’s that next great adventure you search for. It could be that some are trying to run from something? Hmmmmm??? Or run ‘towards’ something? Or are we just a group of folks who for whatever reason simply like to be different? The status quo doesn’t appeal to us. We want something totally different from what we were programmed to want. Always searching for something new to see and to learn about. I don’t know, Im sure its different for us all. But there’s one thing I think every expat will agree with, and that is… it is just thrilling to experience life someplace different , wherever that place may be. And our openness to learn about how others live is a quality that makes us all better humans. To immerse yourself in a different culture, and to let go of what you always thought was, ‘normal’,to try something outside our box is so invigorating. One must be able to let go of so many things in order to allow yourself the opportunity to be more adaptable and open minded. In learning about others I learn so much about myself. In seeing just how big the world is we learn to be more loving and more accepting of things we never even knew existed . I feel like too much time is spent trying so hard to find relevance in material possession and acknowledgment of personal successes when it just doesn’t have to be so complicated. My expat experience is teaching me so many things but one thing that stands out for me is that what’s important is the here and now, its today, this moment, that one person in front of me. And that change is so good. I hope I never stop trying to learn and to grow and the day I think my way is the only way is the day I have failed miserably as a human being. Well, this post started for me because I felt the need to process my conflicted feelings about so many of our community here moving on. Its hard to see people leaving and to be the one to stay. I hear myself say “Change is good”! I say it all the time! Well if I really believe what I say then Im gonna have to embrace the change that comes with folks leaving and chasing their own change. I do wish them well, and my heart aches at saying goodbye to so many good people, but I’d be a cold person if that heartache wasn’t there, right? What an adventure we’re all having! We might not be physically together but in spirit we’ll always be in this Adventure together thats for sure! Great to read this post. Thank you for taking the time to write it. Change is always hard and I am happy that you are content with your new life. I hope 2018 will be a great year for you both. Holly, thanks yet again for real, heartfelt post. As two of those ‘movin’ on’ expats, we can relate to all you say here. Looking back at our (relatively) short time in Boquete, we realize that, though that little mountain town was not for us, the people we met there will be in our hearts forever. We agree that expats are the most interesting, engaging, and adventurous people on earth. We seem to have no fear of the unknown, and instead we will the new and different into our lives. Though we’ve moved on from Panama, we’ll always cherish our time there, and the folks who made our stay warm and welcome. Buen suerte! Thanks for the comment Mariah! I love knowing you guys are just right next door in Colombia! One of these days we will see you again! Cheers! Holly, I loved your post….so heartfelt. We loved Boquete for 5 years. We made great friends and lasting relationships that we will never forget. The expat community is extraordinary. After visiting Spain we knew our time in Panama was coming no to an expiration date. We love our new life in sunny southern Spain and never look back. Our life journey continues and may not end here…who knows what tomorrow will bring. All I know is we are happy with our current situation and just want to live life to the fullest. I loved your European trip journal……come see us next time! What a wonderful attitude Holy and so well put! You really are a brilliant writer! Hi Holly, this is my first time joining your blog. I just stopped my IL magazine subscription as I was tired of the “everything is so so wonderful in place X, Y, and Z….. now buy our information package to learn more”. I’m really just starting to think about retiring in 3-5 years and beginning my in depth research for that next phase. I found your blog yesterday and am now going through your earliest blogs in 2012, in chronological order, to learn…… I’ve got a long way to catch up but the month of Jan 2012 sure was a great way to spend a few hours this morning escaping to somewhere else! Thanks for the adventure!! Hola Jeff! Thanks for letting me know that you are enjoying my blog! 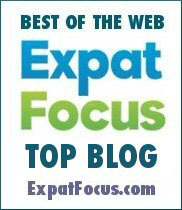 When I first began my research about making our move I found blogs to be the very best way to learn about life as an expat. There are so many great blogs out there full of endless info and firsthand insight. Good luck as you begin your research! Hola Holly! Since I found your blog about a month ago, my mornings start with my coffee and immersing myself in moving to Panama…… Vicariously via your posts in chronological order! 😂😂 I’m now up to Aug 2014 when you and Scott are moving into your neighbors house while your casita is still in work. I love my mornings now before having to trudge off to work thanks to your willingness of sharing all your personal experiences!.. You are such a wonderful writer. I often think of how similar you and Scott are to me and my wife. We both have lived in our same house for a long time (20 years), I’ve always lived in the Houston area but find it exhilarating to think of just a few years away when I might be able to quit my job and start a great adventure somewhere ele. I think I’m about the same age as you from what I can piece together (at least when you moved to Panama) and I’m an amateur wood worker and general handy man around our house (dang though, I would never have the courage to do what Scott did in building the houses in both Calif and Panama!!). There are a few other similarities I find, but I’m pretty discrete on what I share in an open forum. Anyway I just wanted to drop you a note and let you know that all your years of blogging have struck a chord with someone else desiring a move to Panama (or similar location). I cherish and find immense value in the joy and frustrations such a journey might be for us, as I sit here having a leisurely Sunday morning! Hi Holly! It’s always good to hear from you and hear your thoughts. You always hit the nail on the head about what ever you are processing. The crazy thing is that I can really relate to what you are saying each time you write.T and I look forward to the day we can come and visit. It’s always on our mind and the first place we mention when people ask us if we have any travel plans. Do you still have your casita rented? Maybe some of those friends are leaving so you will have room for more. I look forward to meeting you someday. Maybe when we visit in April or when we come to stay in a few years. Your thoughts never fail to touch my soul. Thank you. Yes, you are probably quite right! Im always ready to meet new friends!